As a bookish person, I hold stories in the highest regard. I find value in written text, of both amateurs and professionals. And if history is any indication, professionals are just amateurs who kept at their craft. I'm a strong advocate for telling your story. If you don't, other people will try to associate with you in whatever way they think your story flows. And most of the time, that's a gross misinterpretation of the person you are. So let me tell you my story and why in 2016, I launched Black & Bookish after I went "All-Black". I was “bookish” even as a child. The other Black children around me never had books in their hands. This was not at all to say that they were unintelligent or that I was smarter. It was just that while everyone else was watching tv, I was onto my next YA dystopian novel. I grew up in an all-Black town but lots of my time was spent in rooms where I was the only Black person. This included the characters of my books. It didn't feel strange live in a world that was white if all my favorite characters did too. And that is what books do for you. I've done a tremendous amount of reading throughout my life. In college, I studied art, literature, and movies-but hardly any of it was by or about Black authors and creators. I have been blindly following the flow of mainstream publishing and marketing and this historically has silenced the voices of people we deemed the minority. I began searching for authors who have my shared cultural history, and what I found was a whole world of art and literature that I had been missing out on. I was like many other Americans (Black or not): highly educated by great schools, but lacking a basic understanding of Black history and humanities outside of overused Black History Month icons. In my search, came across Sunili Govinnage’s 2015 article outlining why she only read books by People of Color the year before. This notion seemed completely radical to me. All I could think was, "where did she find these books?" I also stumbled upon the writings of Mia Birdsong, a mother sharing her motivations for not buying any books for her daughter with white characters. Was it even possible? I mean, even Meet Addy, a book about an American Slave Girl had white people in it. Then, soon after that, 11-years-old Marley Dias started her own book raising campaign, #1000blackgirlbooks, because she was tired of reading about “white boys and their dogs”. 11-years-old. What had I been doing with my life? Sure, when my children were born, my first thought was to give them access to "themselves". To fill our home library with picture books of tan-ish little girls. Now as they grow, I began filling our home with books of people who like me become those are the ancestors they will need to learn their stories from. I wanted those voices to sound familiar and feel like home for them. Any "All-Black" protests are usually seen as discriminatory. Some believe that these acts of intentionality are in fact divisive behavior or close-mindedness. But in reality, they speak to the larger assumptions on what is mainstream, what is or is not acceptable, and how our perceptions of the world are shaped by our literary consumption. If you find fault in someone searching for or embracing their cultural familiarity, then the question is, why is it acceptable for a Child of Color to grow into adulthood without one experience of an author or book about them? It's as if suggesting a sort of white-writer fasting brings about the idea of a lack thereof. This also shows the radical notion that even the most beloved white literature is not an adequate answer if it's the only literature People of Color read. 2015 started to expand the awareness of the terrible conditions Black people in America are still experiencing. For example, much of the news coverage was dedicated to Black people dying by the hands of cops, our mistreatment by the medical industry, and how the wage gap is significantly larger for People of Color. This new misunderstanding of reality was probably due to the false idea that Barack Obama's 2008 presidency had cured racism. Because as more headlines pour in about the mistreatment of Black Americans, White America was waking up to their own race crisis: Being White and Privileged. By the end of that year, I was starting to feel a huge disconnect with being Black and having "Blackness." I didn’t have the cultural knowledge to understand significant Black contributions to our everyday society, as well as to the current uprisings in cities like Ferguson and Baltimore. This is directly attributed to what is taught publicly and what society deems as worthy. I was starting to learn more from Twitter about real Black history than I had ever learned in school. And that inspired me to dig my research brain into reading more of the "right" kinds of literature. That was when I had decided to research "What is Blackness?" from a more personal standpoint. And take on my own "All-Black" Reading Challenge. In 2016, I only bought and read books by Black authors. I read 21 books that year, more than I had in previous years after graduating from my Master's program and having two children. I blogged a lot more the first year (the blog was more unfocused back then) than I have in the following years, but I learned some serious lessons about what Blackness means to me. This choice also deepened my advocacy for social and racial justice. I wanted to lend my voice to the discussion and now I have more resources to do so. What started as a way for me to learn more about my own cultural history (from those who have actually lived it) turned into a place to celebrate the lives of our ancestors, revel in the writers of our present, and discuss ways to succeed in our future. The Wiki incident with my life-long friend was the last time I would ever let anyone call me “not Black enough”. My advocacy drives home the importance of stories by Black writers. The silencing of literary Blackness is a distortion of reality and that silence becomes a booming voice of misrepresentation. This is completely due to who had the most access to writing and crafting the stories. The commitment to uplift Black voices is mixed with the task of killing the false narratives. It's hard to break away from the wrong ideas and images because racism is a moving target. So what do we do about it? We create our own stories and make sure we are the heroes of them. We compile lists and charts and tables, we take hundreds of photos, and then we speak up and stand up when it's our time to shine. So this is why I created Black & Bookish, as a way to stand up and speak out. The revolution will be read about. 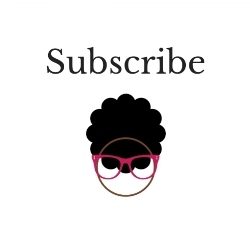 Black & Bookish started as my personal blog and is my personal exploration into Black culture through books. It has expanded to provide a full-service experience into Black Literary Arts. Although there is an abundance of media created by People of Color, especially here in the United States, the publishing industry is still overwhelmingly white. Now people are pushing back on that. Over the past few years, there has been a resurgent of outward Black pride, and focus on the love of one's self, especially in children's literature. I feel that pride in my home, and in my community; however, it's just now that we're seeing it reflected back in local bookstores, movie theaters, or art galleries. I want my story to reflect the love I have for history and literature, but also the pride I have in the places I grew up and the people that lived there. I want Black & Bookish to invoke solidarity for the Black reader and writer. The Books. You won't find any "stars" on this site. Black & Bookish is less about best sellers and more about how I connect to these stories. But you will find a mix of reviews, lists, and resources. This includes pages filled with upcoming releases (that I try and keep updated), Black Literary Organizations, and some of my favorite books and quotes. Reading and Writing Articles. A clear extension of talking about books is talking about the mechanics of books- the reading and writing. That can be anything from how we categorize our libraries to what software to use in your proofreading. The Self Published Spotlight for Independent Authors. Everyone has a story to tell and I want people to hear yours. I hold a special place in my heart for local and self-published writers. The Self-Published Spotlight is one of my newest services to hold myself accountable to the work and the writers I want to showcase. And Everything In Between. These are non-review, opinion posts that tend to be activism heavy. Of course, books will always come into play, but in a broader sense. Black Women Come First. Black women have saved me again and again. The passion I have to be a voice within a movement is attributed to Black women. The revolution is constantly being written by a Black woman for the betterment of everyone. Developmental Editing Services. Not only do I get to read books for a living, but I also get to help authors tell the stories they want to share. Professional editing is one of those invisible jobs to people outside of the industry, but a great book is always a team effort. Some of the older themed posts have been phased out of the blog (Top Ten for the Weekend; Weekly Round-Up) or featured in other places on the web (Sip and Read and Friday Reads moved to social media -Instagram, Facebook, Twitter). You can find many of my roundups and current reads in my newsletter. Provide Solidarity and Encouragement to those who love Black People and Black Literature. What does the future hold? Will I abandon this endeavor and "go back"? Funny, I don't get that question anymore but I use to get it a lot my first year. Now people are very comfortable with the idea of Black Literary Arts. The mainstream success of Nnedi Okroafor and N.K. Jemisin and Marlon James and Angie Thomas and Tayari Jones and AlyssaCole and Alice Walker and Octavia Butler and Richard Wright and Zora Neale Hurston and Toni Morrison and the countless other Black authors have convinced more than enough readers that this work is worthy of praise. No, I will not be going back. I will be embracing this “lifestyle” for as long as I can. My children and grandchildren will know their stories are Black stories. The communities I work with will know that Blackness is not some passing trend or entity to run from. The writers I collaborate with will feel loved and listened to. The readers who visit Black & Bookish will know that Black people are nuanced and multifaceted. That We are not a monolith. So I invite you to dig deep and find your own history. Whether you are Black or not, the stories of your ancestors will ground your troubled thoughts (no matter what they are). And then I ask that you to read one of the books I’ve highlighted on the blog. Show love to a Self-Published author or dig deeper into the memoirs of the Black icons you know nothing about. Make a point to get out of your comfort zone and lean into Black Literature. I’m not saying to abandon writers of any other heritage because you should embrace them all- especially ones that you would never think to. Read Indigenous (Native American) stories like There, There by Tommy Orange, Sacred Smokes by Theodore C. Van Alst, or Bury My Heart at Wounded Knee: An Indian History of the American West by Dee Brown. Americans live on stolen land and that history is treated as unimportant. Celebrate Native history/heritage to the fullest. Read Latinx stories like The House on Mango Street by Sandra Cisneros, Barely Missing Everything by Matt Mendez, or The Education of Margot Sánchez by Lilliam Rivera. Read Asian stories like The White Tiger by Aravind Adiga, 1Q84 by Haruki Murukami, or A Long Walk to Water by Linda Sue Park. Read Pacific Islander stories The Whale Rider by Witi Ihimaera, The People in the Trees by Hanya Yanagihara, or Tales of the Tikongs by Epeli Hauʻofa. Find out why you have never heard of these amazing writers and change the narrative that says only white stories are the stories we want to hear. We all have stories to tell and the more we share those stories, the more we know just how much we’re all connected. I appreciate that you have taken this journey with me, some of you from the beginning. Have you realized yet that this journey is yours as well? Have you started to feel the pull of knowing the real stories behind the myths you thought were true? We still have a long way to go. But at least we’ll go together. Tell me about the stories you’re reading and writing. I want to know your story! What steps are you taking to make sure people have the real narratives about your ancestors?